The Bosque Redondo Memorial at Fort Sumner Historic Site delivers visitors into the heart of history and tragedy. Manifest Destiny, the doctrine that a dominant culture has the God-given right to spread, regardless of preceding cultures, steered American policies in the 1860s. In New Mexico, such policies were directed against the Navajo and Mescalero Apache peoples. In 1863, some 10,000 Navajos were forced to make the “Long Walk,” 450 miles across New Mexico to the Bosque Redondo Indian Reservation, or H’weeldi, meaning place of suffering. Hundreds of Mescalero Apaches were also interned there. The Navajos lost 20 percent of the tribe due to the insufferable conditions. 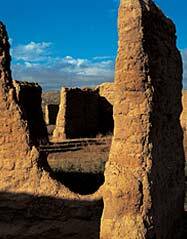 More than 700 years ago, on the fertile west bank of the Rio Grande just north of Albuquerque, the Tiwa people settled Kuaua Pueblo. Coronado Historic Site is named after the Spanish explorer Francisco Vásquez de Coronado, who camped near here with his soldiers in 1540. Kuaua, which means “evergreen,” was abandoned during the late 16th century. A square kiva, excavated in 1935, revealed mural paintings now deemed the finest precontact mural art in North America. Visitors, accompanied by a ranger or docent, may descend into this sacred site. 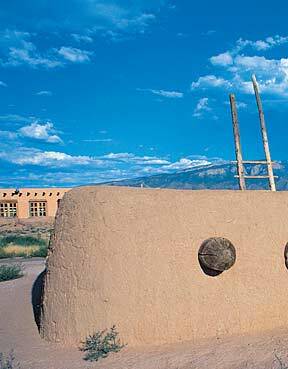 Reconstructed adobe walls echo the original pueblo. El Camino Real Historic Trail Site is a state-of-the-art facility that rises from the wild desert, as different from its environment as from the other New Mexico historic sites. Presenting the history of exchange between Mexico, Europe, and America, this site functions as a conduit for deeper anthropological understanding. 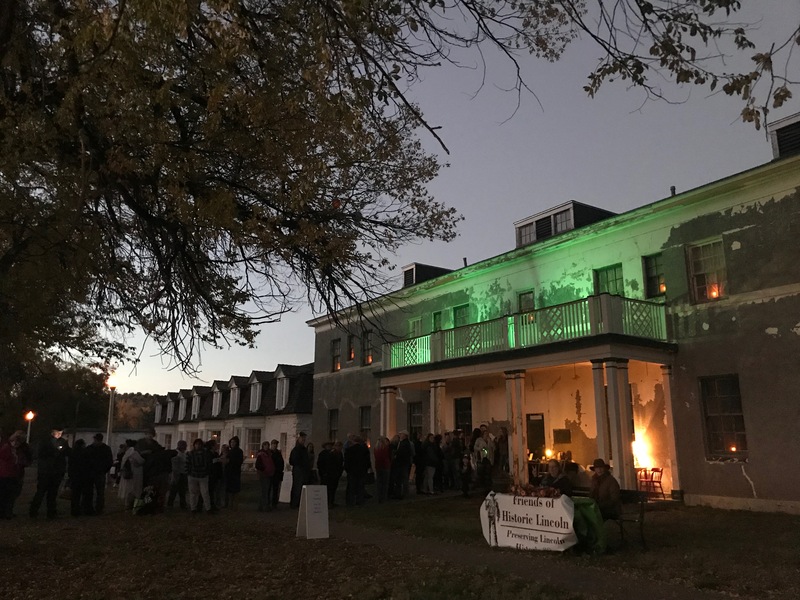 The historic site presents exhibitions about a historic corridor of trade between cultures of ideas, families, materials, philosophies, and faiths. The road originated as a trade route centuries before the Spanish named it El Camino Real de Tierra Adentro, the Royal Road of the Interior, and laid claim to the first European road in America. Fort Selden was built in the Mesilla Valley in 1865 to protect settlers and travelers from escalating hostilities as settlers encroached on the Mescalero Apache homelands. Fort Selden housed the famous Buffalo Soldiers, the name given to African American regiments by the Native Americans. In 1880, the Chiricahua Apache leader Geronimo fled the confines of the San Carlos Reservation in Arizona to launch the final years of the Apache Wars. The military, fearing the worst, reoccupied Fort Selden, which they had abandoned just two years earlier. Established in 1855, Fort Stanton may be one of the most intact 19th-century military forts in the country and is the best-preserved fort in New Mexico. Found just outside the town of Lincoln and surrounded by the Lincoln National Forest, the 240-acre site is best known for its roles in the Indian Wars and the Civil War. Fort Stanton’s 12-building parade ground appears much as it did in the mid-1800s, making it easy to imagine military life in the Old West. The Jemez Indians established the Pueblo of Giusewa (pronounced Gee-say-wah) among the hot springs of Jemez Valley around AD 1350. It was a multistory village which may have contained as many as 1,000 rooms. Giusewa was first visited by Spanish in 1541. 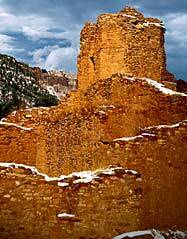 Later, in 1598, Franciscan missionaries came to convert the Jemez People to Christianity. By 1621, the priests along with their Native American converts had constructed San José de los Jémez Mission. However, the missionary effort ultimately failed. Brought on by suppression of the Native religion and a devastating drought, the Jemez joined the Pueblo Revolt on August 10, 1680. This culminated in the removal of the Spanish from northern New Mexico for the next 12 years. Lincoln has not changed much since the Lincoln County War and a host of characters, including Billy the Kid, launched this town into the history books. President Rutherford B. Hayes called Lincoln “The Most Dangerous Street in America.” Here is a tale fueled by ambition, greed, corruption, violence, and the uncanny ability of William H. Bonney to escape from jail. Billy the Kid remains an enigma as he continues to elude his modern pursuers — historians. 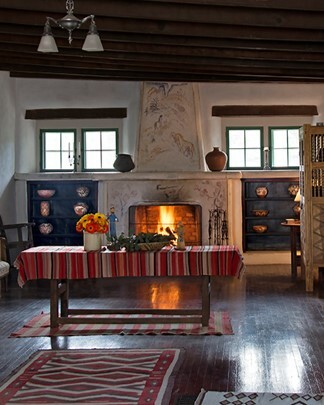 In a state blessed with numerous cultural gems, the 148-acre Los Luceros ranch located north of Española along the Rio Grande near the village of Alcalde is one of New Mexico’s most scenic and historically significant properties. 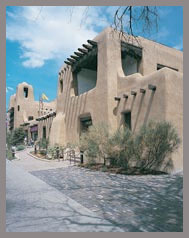 Comprising the Museum of Spanish Colonial Art, the Santa Fe Botanical Garden, the Wheelwright Museum of the American Indian, the Museum of International Folk Art, the Museum of Indian Art and Culture, and the National Park Service, the Museum Hill Partners work together to draw tourists and residents to the vistas and wonders of Museum Hill, where one-third of Santa Fe’s museums call home. The Museum of International Folk Art houses the world's largest collection of international folk art, with a long-term exhibition in the Girard Wing called Multiple Visions: A Common Bond. Changing and traveling exhibitions are offered in the Bartlett Wing and exhibitions highlighting textiles are featured in the Neutrogena Wing. Lloyd's treasure chest offers visitors interactive displays about collections and how museums care for collections. The Museum is the home of the Santa Fe International Folk Art Market held on Milner Plaza in July. The Museum of International Folk Art opened to the public in 1953, and has gained national and international recognition as the home of the world's largest collection of folk art, with more than 135,000 objects from over 100 countries. Founded by Florence Dibell Bartlett, the museum has four wings devoted to folk art: the original Bartlett wing, the Girard wing (1982), the Hispanic Heritage wing (1989), and the Neutrogena wing (1998). Lloyd's Treasure Chest, in the Neutrogena wing, is an open and interactive storage area that allows visitors access to changing displays drawn from various collections. Public programs for all ages are offered at the museum throughout the year. 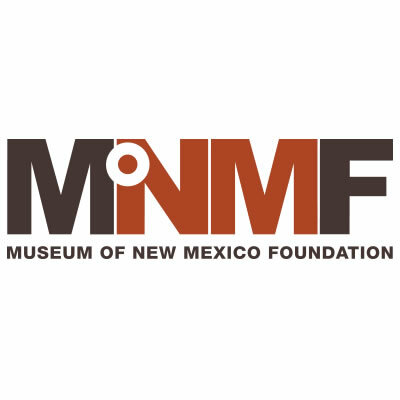 The mission of the Museum of New Mexico Foundation is to support the Museum of New Mexico system through fund development for exhibitions and education programs, financial management and advocacy. 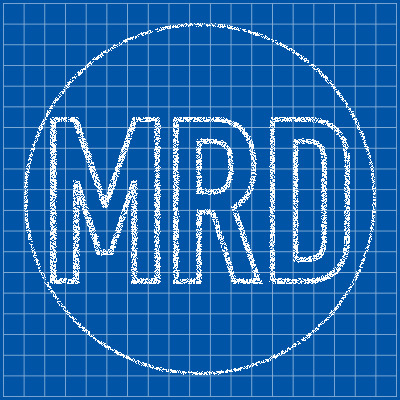 Museum Resources Division (MRD) is a centralized services group comprised of skilled museum professionals dedicated to the state institutions known collectively as the Museum of New Mexico. MRD includes talented designers, woodworkers, mountmakers, preparators, conservators, marketers, writers, editors and educators. 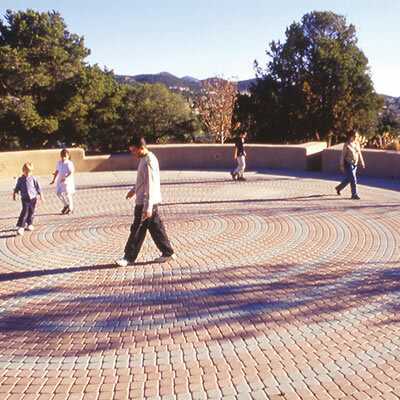 MRD provides services to: New Mexico History Museum/Palace of the Governors, New Mexico Museum of Art, Museum of International Folk Art, Museum of Indian Arts and Culture, and the New Mexico Historic Sites. 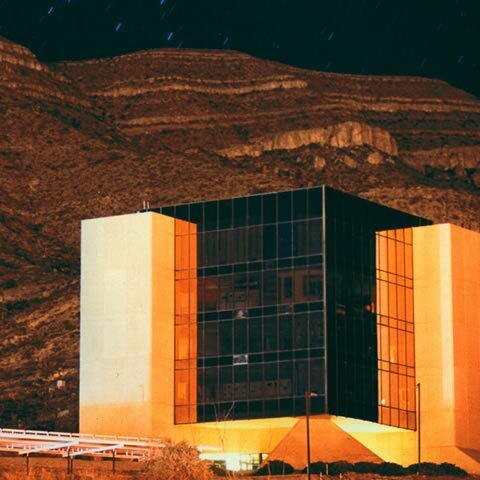 Located in Albuquerque’s historic and culturally vibrant Barelas neighborhood along the banks of the Rio Grande, the National Hispanic Cultural Center showcases Latino art and culture from throughout the world. The center is home to the Roy E. Disney Center for Performing Arts, a dynamic art museum, research library, genealogy center, and restaurant. As a major player in Albuquerque’s cultural scene, the center presents art, history, and literary exhibitions, theater, music and dance productions, classic and contemporary films, and family and school events, along with readings and book signings by renowned authors and poets. In addition, the public can take Spanish language classes offered at all levels through the prestigious Cervantes Institute. 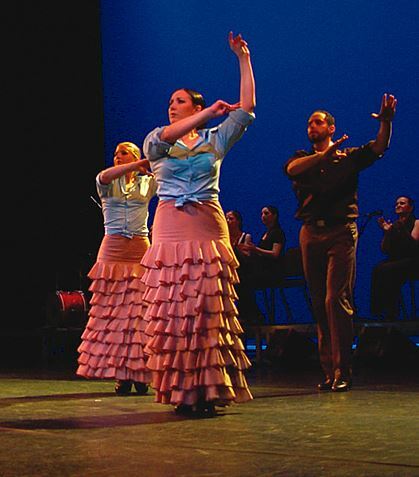 Popular annual events at the center include Día de los Muertos, the Latin Diva Concert Series, Women & Creativity, Festival Flamenco Internacional, Globalquerque, the Latin Dance Festival, and Jugamos Juntos (programming for youth). 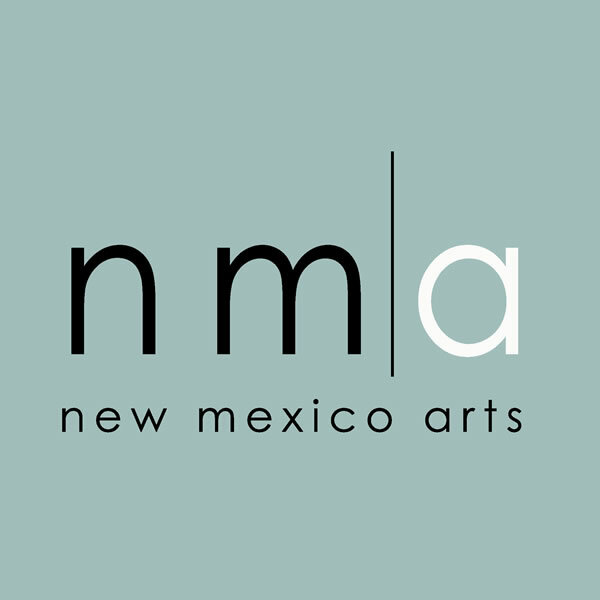 New Mexico Arts is the state arts agency. Its mission is to preserve, enhance, and develop the arts in New Mexico through partnerships, public awareness, and education, and to enrich the quality of life for present and future generations. The primary function of New Mexico Arts is to provide financial support and technical assistance or arts services and programs to non-profit organizations statewide and to administer the 1% public art program for the state of New Mexico. Other programs include the Governor’s Awards for Excellence in the Arts, New Mexico Arts and Cultural Districts, New Mexico Arts Trails, and Poetry Out Loud. The joy in visiting New Mexico is getting to know us. And there’s no better way to get acquainted than to explore our exceptional museums and historic monuments than with the New Mexico CulturePass. The New Mexico CulturePass opens the doors to 15 exceptional museums and historic monuments. 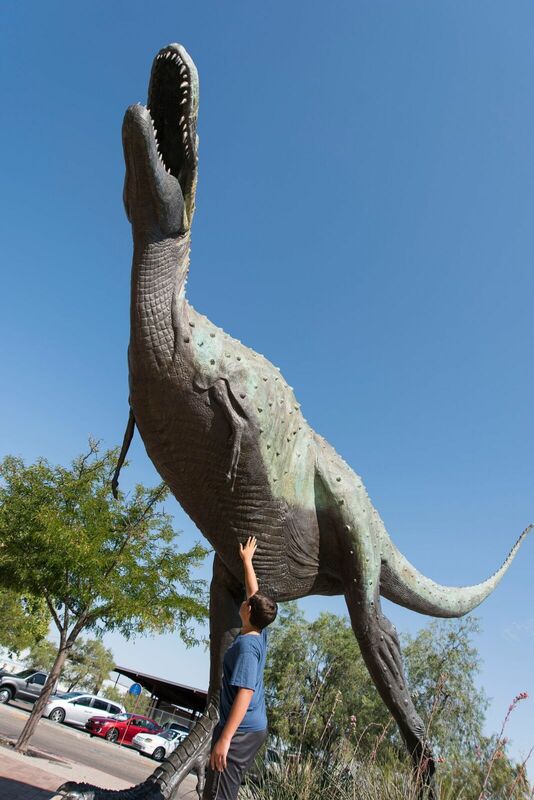 From Indian treasures to space exploration, world-class folk art to super dinosaurs, ancient sites to the state-of- the-art New Mexico History Museum—our museums and monuments celebrate the essence of New Mexico every day. They are what the Land of Enchantment is all about. At $30, the CulturePass invites you to visit each of the 14 state museums and monuments once during a 12-month period. Flash your pass to experience authentic New Mexico and know that the more facilities you visit, the better value the pass becomes. Here is a list of the museums and monuments you can enjoy. Purchase your CulturePass at any state museum or historic site. You can begin using it right away. On the date you visit your first museum or historic site, the pass will be validated, and it can then be used for the next 12 consecutive months. Purchase by Phone: To pre-purchase a CulturePass, call Caroline Broussard at 505-476-1125 with your credit card information. You will have the option to receive a CulturePass by mail (delivery within 10 days) or be sent an email voucher that can be redeemed upon your first visit to any state museum or historic site. The CulturePass allows one visit to each state museum and historic site. Passes are for general museum and historic site admission only. Films shown in museum theaters and certain special events and programming will incur additional charges. You can start using your pass whenever you want. Passes are nonrefundable and are not replaceable if lost. Please contact museums and historic sites to verify current hours. 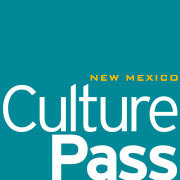 The CulturePass is a program of the New Mexico Department of Cultural Affairs, the cultural steward charged with preserving and showcasing the state’s cultural riches and one of the largest and most diverse state cultural agencies in the nation. Together, the facilities, programs, and services of the Department support a $5.6 billion cultural industry in New Mexico. 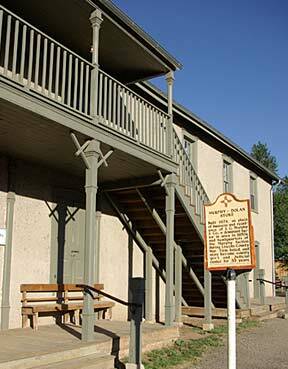 New Mexico Historic Sites are seven storied places to experience history where it happened. They invite you to hit the road and explore New Mexico. Follow in the footsteps of indigenous people, Spanish conquistadors, Civil War soliders, outlaws, and lawmen. How often do you see a Native American kiva next to a 16th century Spanish colonial church, get a glimpse of military fort life, or walk through an historic town little changed from the 1800s? New Mexico Historic Sites offer exactly such unique experiences, and allow the visitor to discover the diverse history and prehistory of the state—all within a few hours drive by car. Visiting a New Mexico historic site promises to grant you a deeper understanding of those who have gone before us and helped make us who we are today. 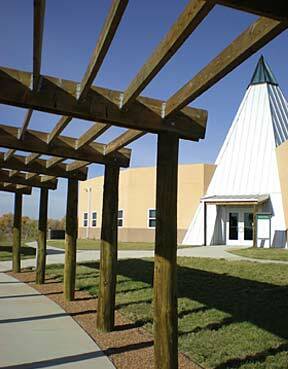 Each site tells a unique story, important to the understanding of New Mexico history. So enjoy a day of discovery and Travel Back in Time. . . to each of the New Mexico Historic Sites. The New Mexico History Museum sweeps across five centuries of stories that made the American West – from early Native inhabitants to Spanish colonists, Santa Fe Trail riders, outlaws, the railroad, artists, scientists, hippies and more. This 96,000-square-foot building became the state’s newest museum in May 2009, joining its oldest, the 400-year-old Palace of the Governors (the nation's oldest continuously occupied government building and a National Historic Landmark). Born from the need for a state-of-the-art storage facility, the History Museum evolved into a first-class museum project, spurred by the national rethinking of the role history museums play in communities. No longer attics or basements full of long-forgotten objects, they are now places that partner in education, civic engagement, and social change. The History Museum strives to forge identity and community through an understanding of who we were as well as what we have become. New Mexico’s confluence of cultures and individuals has molded the social, political, economic, artistic and spiritual nature of its communities. Using dynamic technology, including computer interactives, films, oral histories and more, we give voice to generations of New Mexicans, inviting visitors to form personal bonds and engaging them in the museum's interwoven storylines. 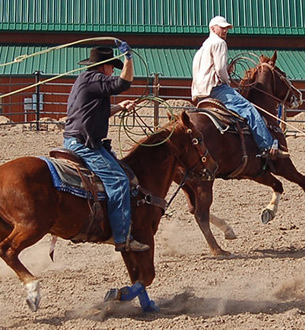 Few states have the time depth and cultural breadth of New Mexico. Most people are taught that America's colonial history began with the settlement of Jamestown, or when the Pilgrims landed at Plymouth Rock. 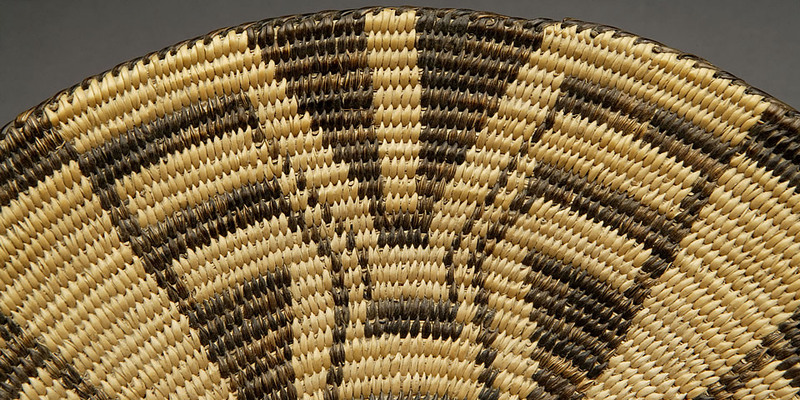 The History Museum provides another point of view, framing the story of America within a broader cultural perspective that recognizes contributions by Spanish, Mexican, Pueblo, Navajo, and Apache peoples. Augmenting the museum's 3½ levels of artifacts, photos, paintings, maps and more are vibrant lectures, hands-on workshops and performances that complement the museum experience. In this museum, visitors become players in a "theater" of understanding – giving them an enhanced connection to stories that resonate with humanity, passion, and relevance. Simply put, this museum is changing the way that Americans think about their national history. 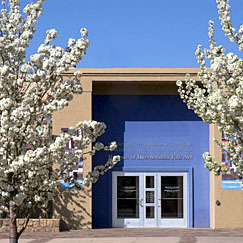 The New Mexico Museum of Art houses more than 20,000 works of American and European art, including paintings, prints, drawings, sculpture, photographs, new media, and conceptual works. The focus of the collection is on American art, with an emphasis on artists working in the Southwest. The New Mexico Museum of Art is the oldest art museum in the state. 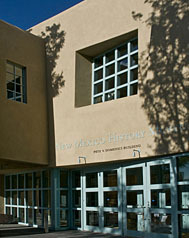 It was founded in 1917 as the Art Gallery of the Museum of New Mexico. Housed in a spectacular Pueblo Revival building, it is a masterpiece of Pueblo Revival architecture, and the best representation of the synthesis of Native American and Spanish colonial design style. It was designed by I. H. and William M. Rapp and was based on their New Mexico building at the Panama-California Exposition (1915). The museum's architecture inaugurated what has come to be known as "Santa Fe Style." For more than 90 years, the Museum has collected and exhibited work by leading artists from New Mexico and elsewhere. The museum has more than 20,000 works of American and European art in its collection, including paintings, prints, drawings, sculpture, photographs, new media, and conceptual works. Its collection focuses on American art with an emphasis on artists working in the Southwest, including Georgia O’Keeffe, Edward Weston, Laura Gilpin, Agnes Martin, Luis Jimenez, Luis Tapia, Bruce Nauman, Meridel Rubenstein, and Ana Mendieta among others. Highlights of the collections are extensive holdings of the Cinco Pintores; the Taos Society of Artists, including Robert Henri and John Sloan; the largest collection of Gustave Baumann; the Lucy Lippard Collection; major American photographers, including the Jane Reese Williams Collection of women photographers; new media, including video installations; and an important collection of Georgia O’Keeffe paintings. 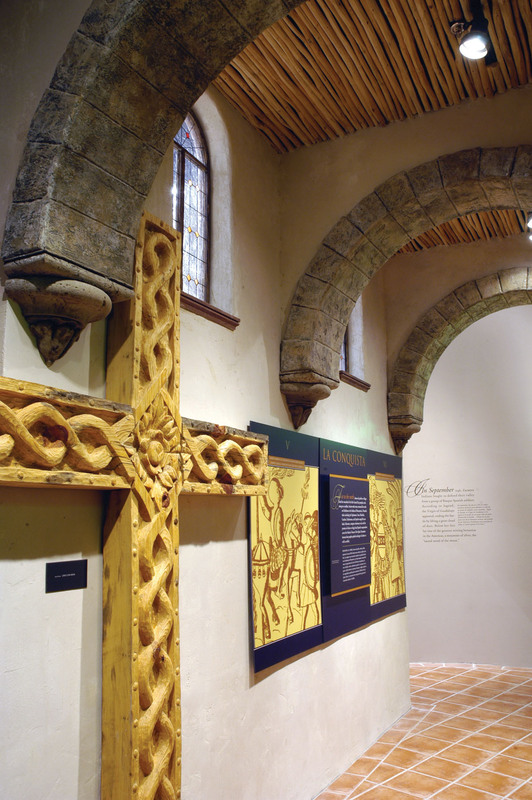 The architecture of St. Francis Auditorium, part of the museum, was inspired by Spanish colonial churches. The auditorium is also a venue for other outstanding performance groups and lectures on art and culture. It seats 435 and houses the large historical McNary pipe organ and a stage. The New Mexico Museum of Art brings the art of New Mexico to the world and the art of the world to New Mexico. The cradle of America’s space program offers a museum that applauds our exploration of the heavens with a mix of high-tech entertainment and dramatic exhibits. Many major breakthroughs in technology occurred in the Alamogordo area, and the museum offers a variety of exhibitions to showcase those milestones. Among them are the John P. Stapp Air and Space Park, with large displays of the Apollo program’s Little Joe II rocket; the Daisy Track exhibit, which includes a tribute to the Delta Clipper Experimental; and the Clyde W. Tombaugh Theater and Planetarium, featuring a giant dome-screen and state-of-the-art surround sound to fully immerse the audience. The museum, a premier tourist destination welcoming more than 100,000 visitors each year, is a Smithsonian Affiliate and the designated repository / archive for New Mexico’s Spaceport America, the world’s first purpose-built spaceport. Since its beginnings nearly 70 years ago, the State Library has been a leader in the development of New Mexico's public libraries, helping them to build the programs needed by their communities. The Library's heritage is evident today in the Rural Services Program. Four bookmobiles serve the entire state, stopping in some 260 communities, logging more than 80,000 miles a year. Books by Mail rounds out the service by sending books through regular mail to subscribers remote from the scheduled bookmobile stops. Library programs serve more than 1,000 libraries throughout the state — public and academic. Staff members bring new skills and tools to these libraries by putting on workshops, distributing equipment, and providing training and technical assistance for computer networking. 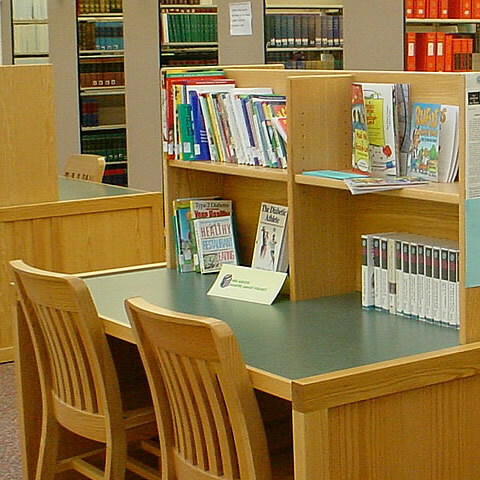 The State Library also serves the State Government with access to work-related information and reference materials. And through its Talking Book program, the Library reaches 4,500 visually impaired and physically challenged people each year. 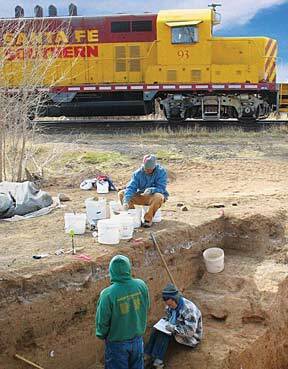 The Office of Archaeological Studies conducts archaeological research projects throughout New Mexico. With a mission to collect and share information about prehistoric and historic sites across the state, the office serves state agencies and private organizations that need archaeological studies performed as part of their projects. In additional to its fieldwork and research programs, OAS has an award-winning educational outreach program, Roads to the Past, which directly interacts with New Mexicans in order to educate them about archaeology and New Mexico's cultural history.